We all know and love narwhals as the unicorn of the sea, but now scientists have discovered the mystery of why narwhals have tusks. World Wild Life Fund Canada and Oceans Canada recently collected drone footage that shows that narwhals use their tusks to stun prey. In the video, several narwhals rapidly hit Arctic cod with their horns to immobilize the fish before eating them. Typically, only male narwhals have the tusk, which is a tooth that can grow as large as nine feet. Nerve endings cover the horn for sensory perception. Until now, it was particularly difficult for scientists to study the purpose of the horn. Brandon Laforest, senior specialist of Arctic species and ecosystems with WWF-Canada, told National Geographic that witnessing narwhal feeding habits has been nearly impossible without the drones. He previously spent time camped near narwhals’ winter habitat to more thoroughly study them. However, they tend to cluster in hard-to-reach regions. "They don't jump like other whales. 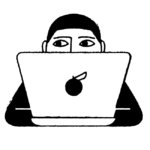 They are also notoriously skittish," Laforest said. "This is an entirely new observation of how the tusk is used." Canada is home to 90 percent of the narwhal population, and is a prime location to analyze the narwhal. Laforest hypothesizes that narwhals also use the horn for ice picks, sexual selection, weaponry, and even echolocation. 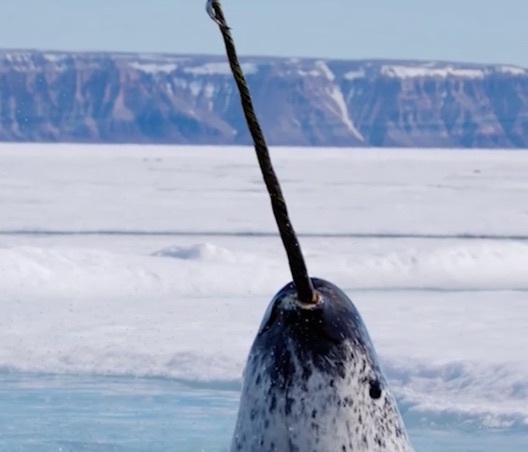 This footage plays a major role in better understanding the narwhals, particularly as climate change warms their waters. A majority of the narwhals live in Canada’s Lancaster Sound, which the government is looking marking as a protected area. The scientists plan to continue to use drones to learn more about narwhals and attempt to help them.